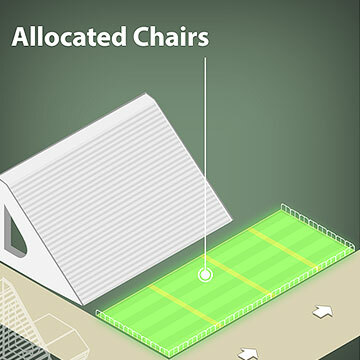 Allocated chairs (cadeiras) are located only in sectors 12 and 13. The chairs are positioned in long rows of assigned seats on either side of the parate route. The rows of chairs located at the same level as the samba runway are easily the best value for your money. 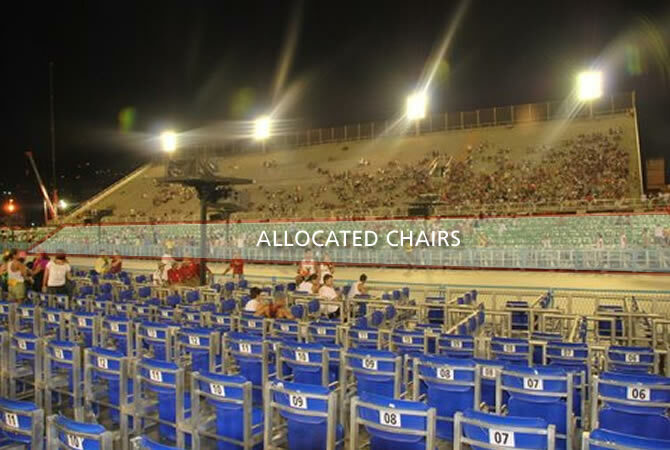 The most affordable of the Sambadrome’s assigned seats, allocated chairs are located in the Apotheosis Square, at the end of the samba runway. It is in the Apotheosis Square — right next to the allocated chairs — where members of the Samba Schools that have just finished their processions gather as they dismount the floats and change out the heavy costumes. 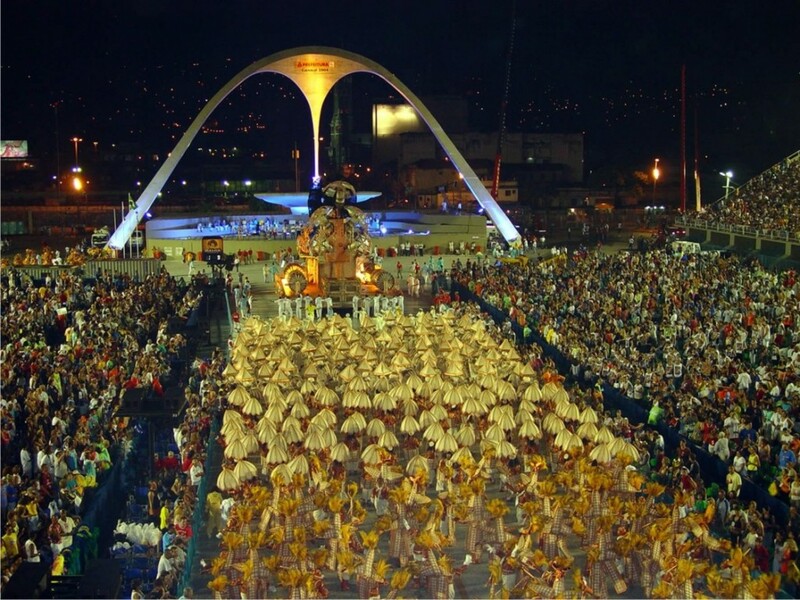 It is not uncommon for samba school members to exit the Sambadrome leaving their costumes in Apotheosis Square, within snagging distance of the cadeiras. Having an allocated chair ticket provides the unique and thrilling chance for spectators in these sectors to acquire costumes that have been left behind.